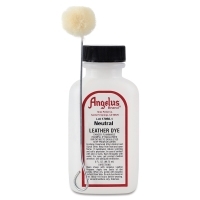 Professional-grade Angelus Leather Dye is a heavily pigmented dye that's guaranteed to penetrate leather. It forms lasting color that won't peel, crack, or wash off. 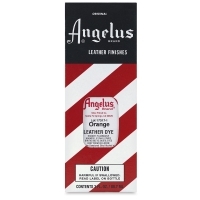 Angelus is a popular shoe dye for sneaker restoration. It's also excellent for coloring belts, purses, wood, gourds, saddles, and other custom projects. You can dilute the dye to adjust the color. 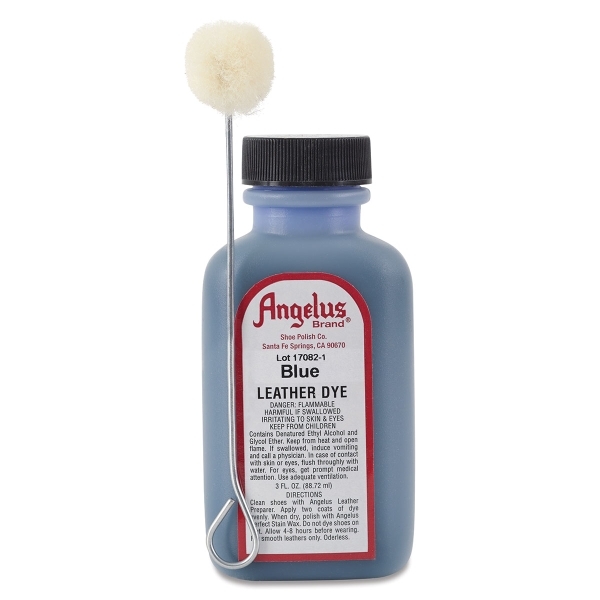 Apply these alcohol-based dyes with a paintbrush, airbrush, or the included wool dauber. 3 oz (88.7 ml) bottles.